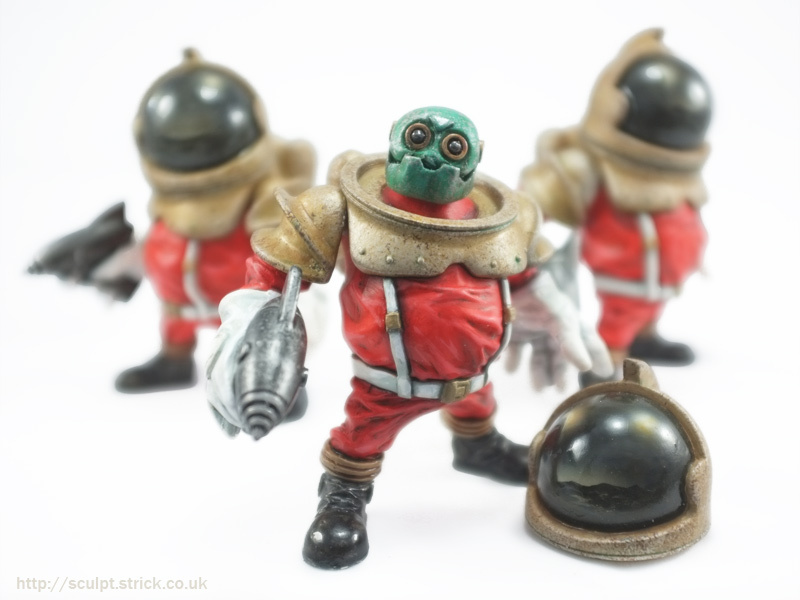 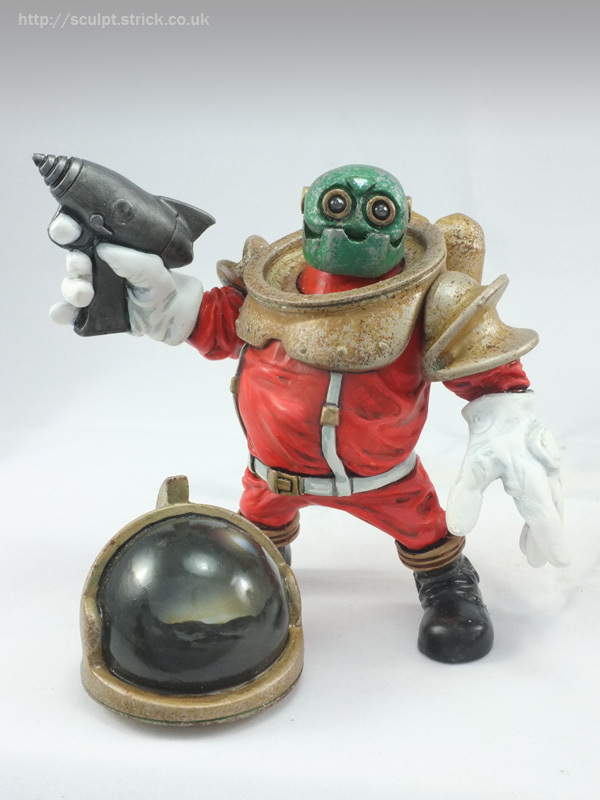 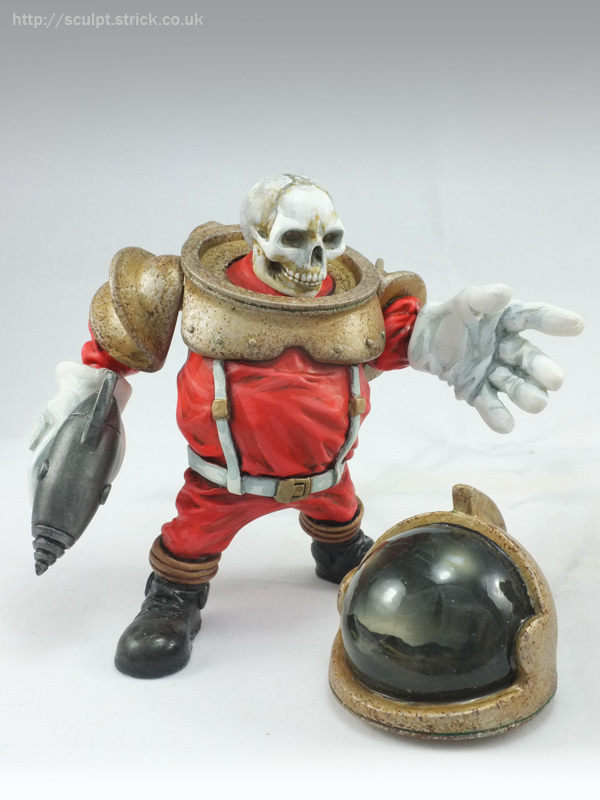 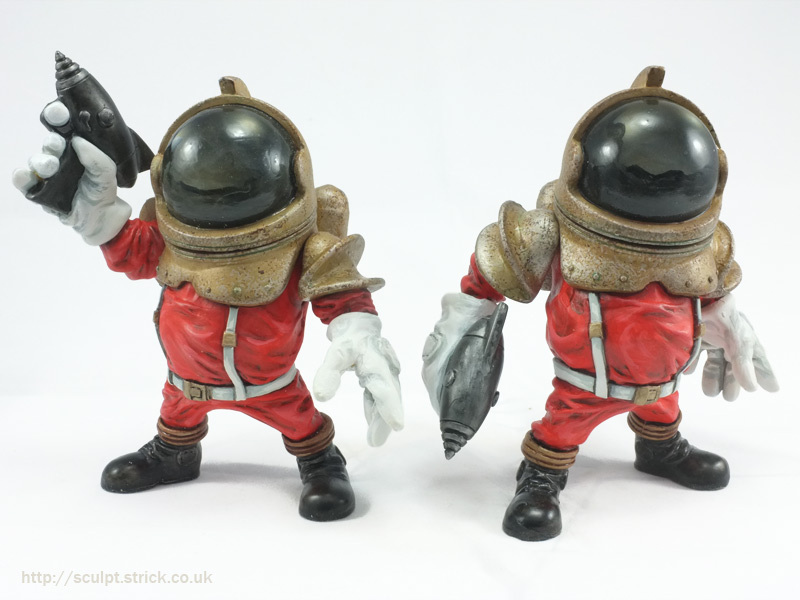 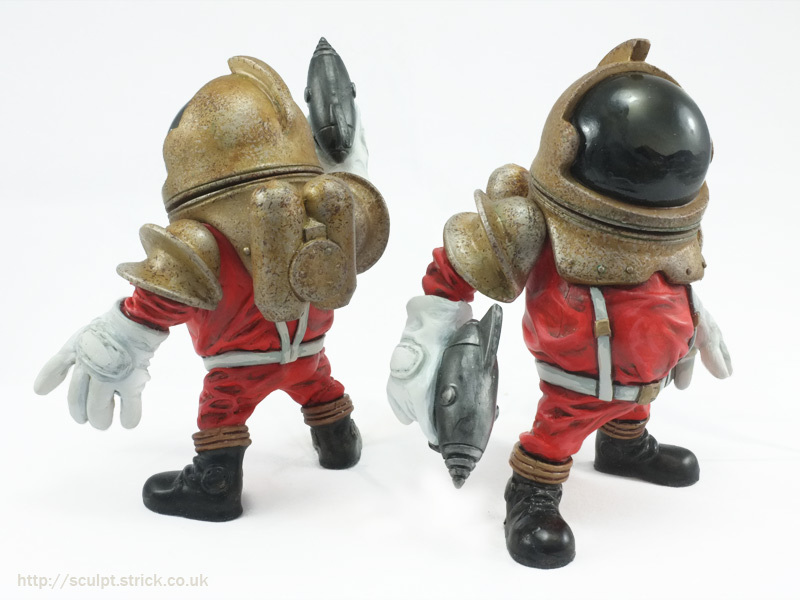 A new colourway of my Ray figure produced for ToyCon UK 2015 and sold at The Toy Chronicle stand. 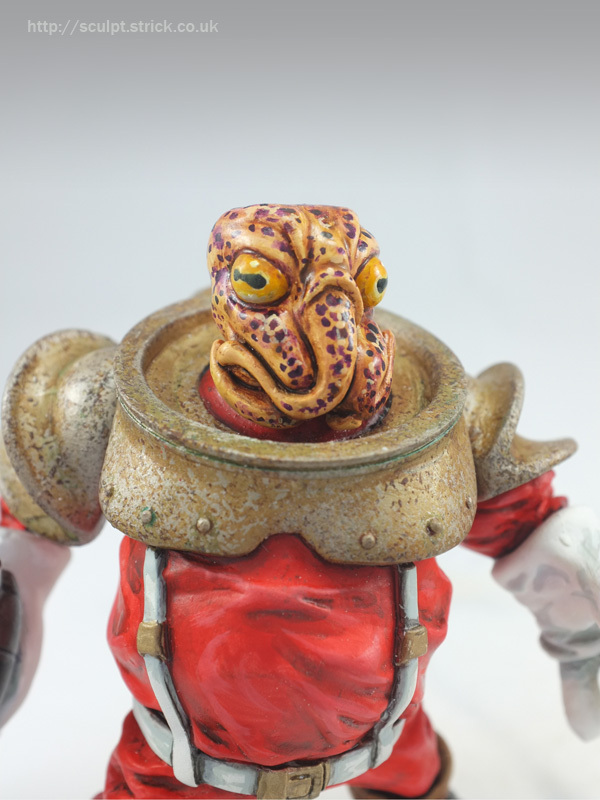 Ray is articulated at the neck and shoulders and his helmet is removeable to reveal a random, blind-packed head. 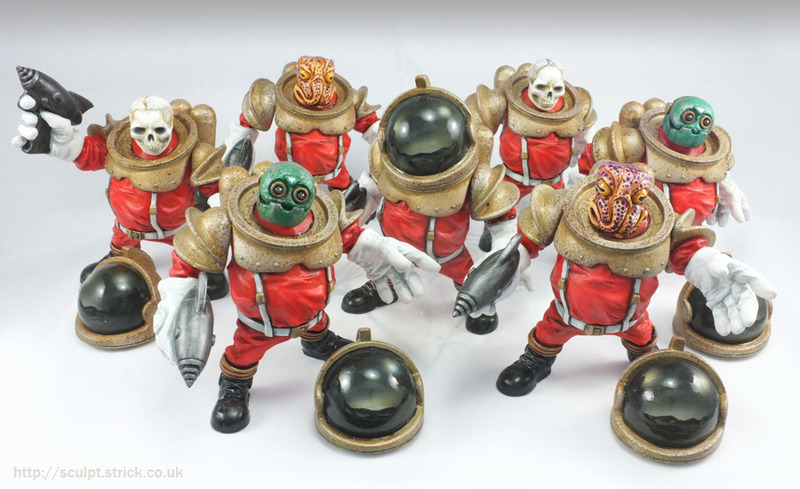 The 2015 edition is in a Dan Dare/Flash Gordon-inspired red and gold uniform and the heads are all either new colourways or entirely new sculpts.